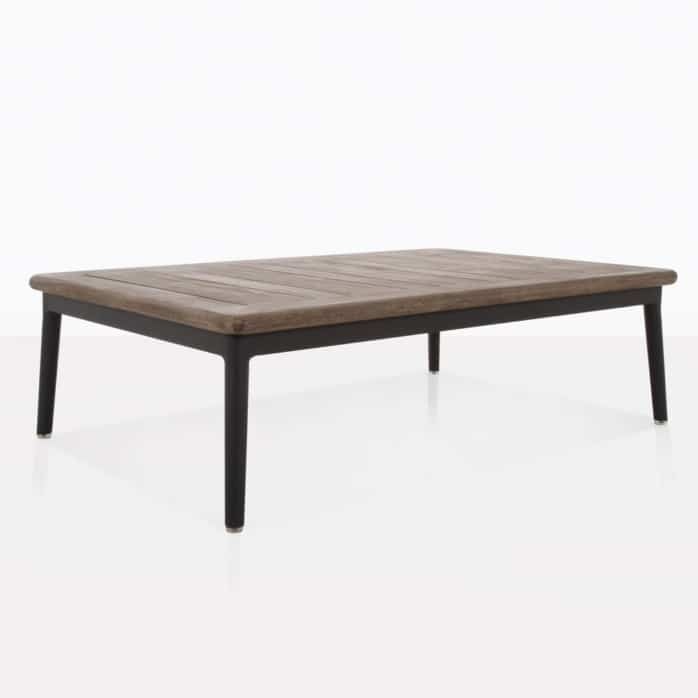 Complete your outdoor relaxing area with the Oasis Rectangle Coffee Table. It has a versatile look that allows it to be paired with many different styles of sofas and loveseats. It works very well with our low deep seating furniture. The frame is made with powder coated aluminum and completed with an aged teak tabletop.